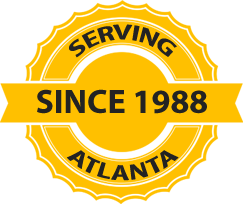 At AtlantaRoofing.Com, we offer standing seam or screw down metal roofing installation and repairs. Metal roofing is a great choice for both residential and commercial structures. It’s a durable and long lasting alternative to other roofing materials, and is great for energy efficiency as well as the environment. We specialize in roofing installation and repairs, so we make sure we’re using the best brands and products. We offer a great variety of color and crimping options so you can be sure that you’re getting the right roof to match your home or business. Call us today for a free quote on new metal roofing installation or repairs. Highly Reflective – Available with emissivity as high as 90% and reflectivity exceeding 25%. Exceptionally Durable – Proven to last over 30 years with minimal maintenance and is offered with a non-prorated warranty for most applications. Paint colors retain 95% of their initial reflectance and emittance over time. Made of metal that has recycled content and is recyclable – Environmentally friendly — typically having a minimum recycled content of 25%. 100% recyclable at the end of a long, useful life.